I can't say I'm a big fan of the Moxie Girlz dolls. What I am, though, is a fan of 'funtastic' doll playsets. So, when I saw the Moxie Girlz Magic Snow Cabin on sale at Toys 'R' Us last December, I decided to get it. I love the colors used on this set. The accessories included are nice too, although, I truly believe two bar stools should have been included instead of just one. 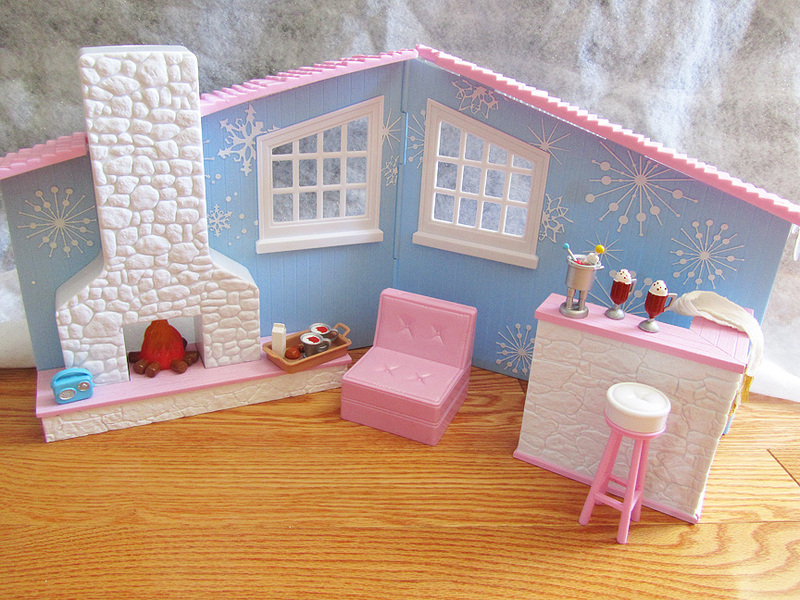 The set also doubles as an indoor and an outdoor cabin scene with a flip of the wall. And the chimney spurts out the magic snow included in the box....That one I refuse to try because I just don't feel like cleaning up teeny tiny beads of foam. There is one catch to having this set. Moxie Girlz are smaller in size than the typical fashion dolls in my collection. I believe these dolls are only around 10" tall as opposed to my 11.5" Barbies and 12" FRs. 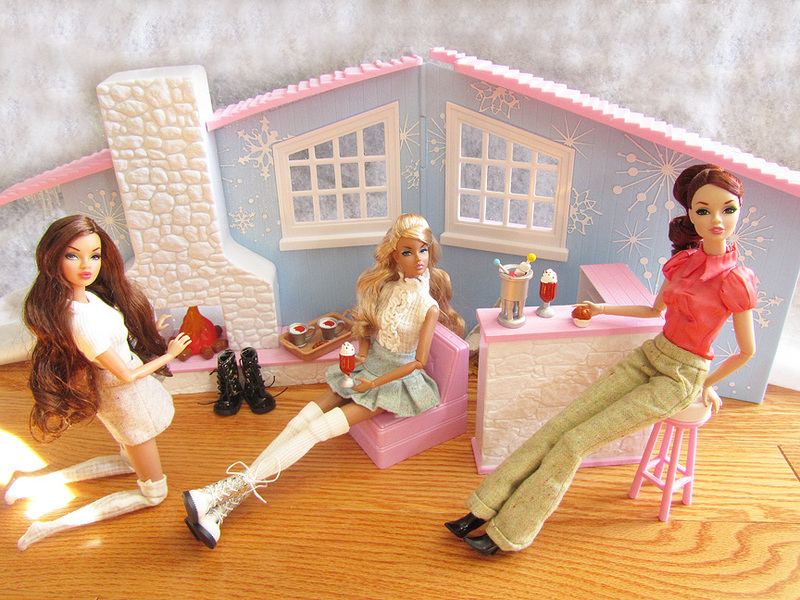 Therefore, to pose dolls that I do own, they either had to be in a sitting position or a kneeling one as you can see with the way I photographed the Chill Factor DGs above. Yes, the snowman has chocolate chips eyes! The photo was taken on my sun deck. I was feeling a bit ambitious to actually take a picture on such a chilly, snowy day, in my pajamas no less, but the end result made it all worth it. So cool, or should I say Chilly? The dolls look amazons!! !LOL...it is miniature monday!! absolutely LOVE the blog and your collection! Hello Minnie! Welcome and thank you for stopping by!